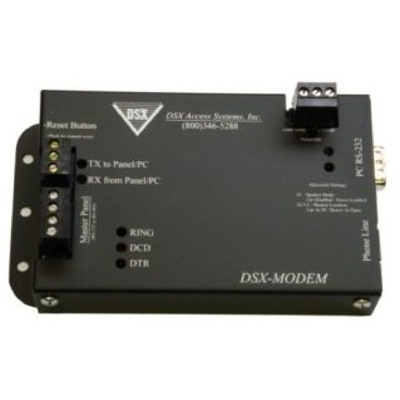 This new DSX Modem is small and DC powered. It is easily connected to a DSXLAN(M) module for redundancy. The unit has both an RS-232 and RS-485 communications port for connecting it to any DSX controller without the use of a MCI module or adapter. There is a DB9 connector for easy connection to a serial port. This modem comes with everything needed for any DSX dialup application.